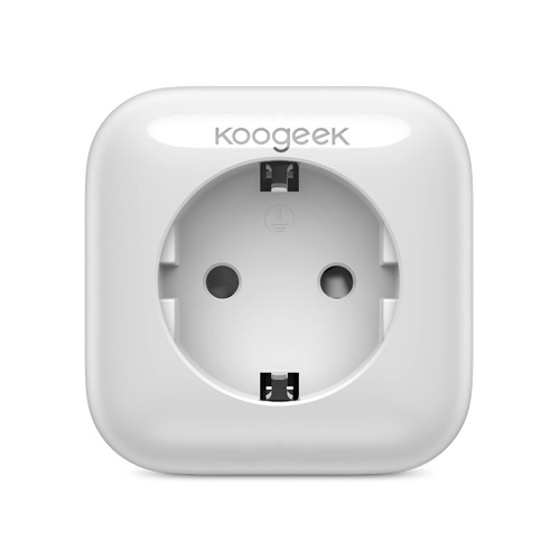 Koogeek Smart Plug is a Wi-Fi-enabled smart wall plug that works with Apple HomeKit. It enables you to control, monitor and schedule connected devices even when you're not home, using Siri voice commands, schedules and timers, or Koogeek Home app. 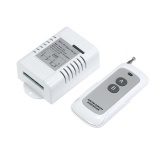 It can also check whether your Smart Plug is in use and monitor power consumption. Apple HomeKit technology provides an easy, secure way to control HomeKit-enabled accessories using Siri on your iPhone, iPad, iPod touch, or Apple Watch. With the Koogeek Home app, you can easily control, monitor and schedule any connected device through easy setup on a 2.4GHz Wi-Fi network. No hub required. Set custom schedules and timers for a plugged-in device or a scene. 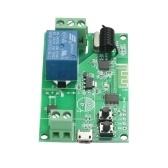 It will turn on or off one or more connected devices at a specific time automatically. Create personalized scenes to control multiple connected devices simultaneously with a single Siri voice command, a schedule/timer or just a tap. 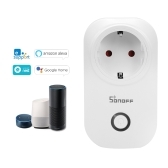 Check whether your Smart Plug is in use and monitor real-time and monthly electric power consumption of connected devices. You can also tap the monthly column to monitor the daily power consumption of connected devices in the last two months. You can set up your Apple TV (with tvOS 10.1 or later) or iPad (with iOS 10.1 or later) as a home hub to control your HomeKit accessories remotely, grant access, and automate your accessories. Compatible with iPhone, iPad, iPod touch and Apple Watch running iOS 8.1 or later versions. Apple HomeKit technology provides advanced security with end-to-end encryption and authentication between a HomeKit-enabled accessory and your iPhone, iPad, or iPod touch. Q HI there I wonder if I need any routers or other products to use your products with Apple home kit? Can I just start to buy your products, download the Apple home kit app and take it from there? A It need to be connected to 2.4G WiFi. A Hallo, dieser Stecker unterstützt auch Alexa, und Sie können auch den Stromverbrauch von Koogeek App messen. 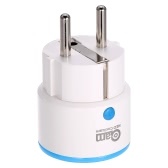 I bought two such plugs with the intent of placing it in an electric boiler and controlling the schedule and consumption, and the other for the living room light. They are fully compatible with the Apple Home Kit, I use a lot of Siri, and I found that syncing works well. In the product description or product photo, the word "set of 3" is listed, which leads me to believe that it will be 3 identical products. There is only one delivery, so I didn't open the unit. Otherwise it will make a good impression, but I can't fully convince my function. Cheap house export kit. The installation work smoothly. When several plugs come into contact, it can be quite confusing in time. Unfortunately, Wi-Fi outlets only support 2.4 GHz. If you only want to operate within the LAN, your smartphone or tablet must be registered in the same Wifi. If the smartphone is on a 5 GHz network, the switch does not work, although the outlets are on the same LAN, only on different wifi. To avoid this and remotely change the slot over the Internet, you need to use an Apple TV or iPad as usual. But Apple TV should be 2.4 GHz. If Apple TV is connected to 5GHz or through a cable, this is not a bridge. 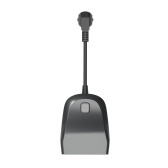 It is also compatible with 5 GHz or Bluetooth, so it doesn't matter how Apple TV connects to the Internet. I use the terminal strips on my desktop to turn multiple devices on and off. I only use HomeKit, so I can't say Alexa or Google Home. With an iOS device, the device is very simple and almost automatic. This is still described in the manual. You don't even need the Koogeek app, which surprised me. Due to the lack of WiFi connectivity and Bluetooth, plug replacement work is almost real-time. So far, this is not what I am used to from Eve Energy. class! Work looks good too. The scent of a strict plastic is significant, but it is not an object carried by the body. That's why it doesn't seem so tragic to me. Only the plug is super tight. I have put in a lot of effort, I have not tried it. The rope (for me) has an optimal length. All positive, now inclined readers ask: Why is there only 3 stars instead of 5? The reason is simple: the application. I think the application is very bad. Unfortunately, it seems very common in China to put your own online store in the app (as a famous drone manufacturer). But this is obviously at the expense of clarity and usability. Keyword availability: No English, you are relatively lost in the app. Because the German translation seems to come from a persifalage in Google Translator. Otherwise, I can't explain the terrible translation. However, the main problem in the application is that the energy consumption statistics are only stored for 2 months and are too confusing. Also, I don't like that you can't measure the consumption of each can, but only put all the items together. Of course, you might think this is more like an App Store rating. It's completely correct, it's also over there. But the app is part of the product here, which is why it is here too. Conclusion: Quality products for flops. So if you just need to use the Smart Home connection to save the app and control the can, then there are clear purchase suggestions. For those who rely on the app (for whatever reason), there are no purchase suggestions. Working well in Home kit environment. Very good application as alternative to Home kit. Compatible with Siri assistant. I’m happy to use it. If you have a home connection base (Apple TV, Home Pod, Air Port, or in my case, from the old Time Capsule), it can use the manufacturer's IOS app outside the home. I use it as a thermos, and I save a lot under the light. It can be programmed. It works perfectly For the initial configuration, I have to put it very close to the Wi-Fi transmitter. After working perfectly, it will be appreciated if it costs less. I can only configure it on my tablet. I can't connect it to two different control devices. This seems to be a very annoying limitation. The product is presented in the right package, and the product itself has a good quality appearance because it is very easy to connect to your home Wi-Fi, and it works very well because you can turn it on and off from your phone anytime, anywhere. It works for my iPhone. I got the product in perfect condition , easy to use and original !! I recommend it very much. Arrived in 4 business days and works like a charm! Gonna order other Koogeek items soon. Nice gadget. Perfectly works with HomeKit and my Apple iPhone. Recomended. Excellent quality, according to the description, fast delivery. I recommend. A perfect HomeKit device. 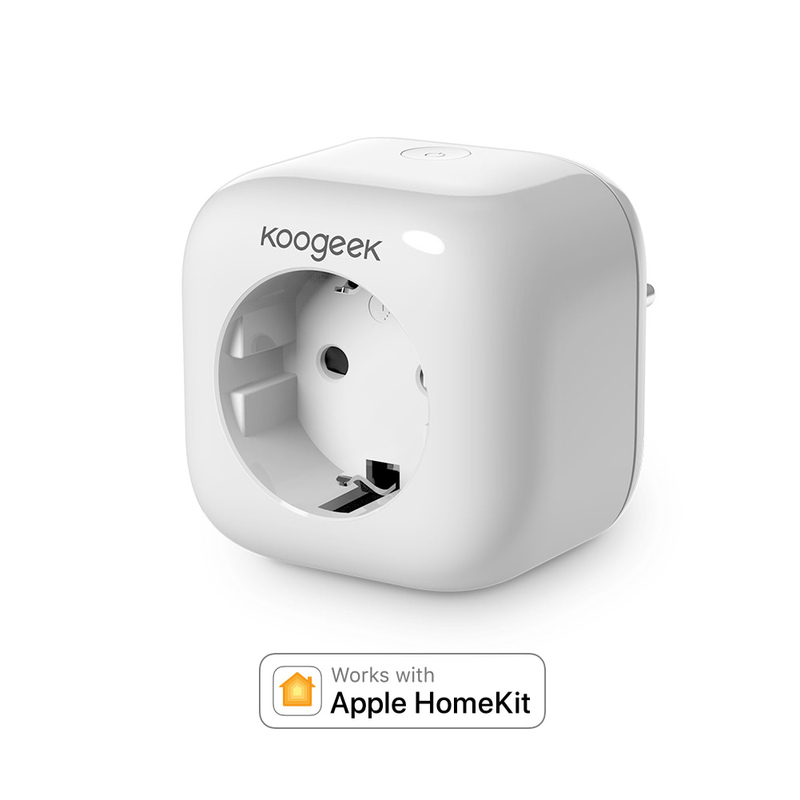 • Great design (the "e" of Koogeek informs you about the status :-)• Supports full HomeKit functionality (Auto-Wifi Setup, HomeKit ID scanning)• Sweet price (I paid a third of Elgatos Plug :-)I really wish Koogeek will make more HomeKit products for this price. Perfect seller. Great product for a good price. Easy to setup. The most affordable product for Apple smart home! Works great! I recommend!